Courtesy of RE/MAX Premier Realty, Kimberly Krones. Spectacular Hillcrest Estates! Nestled against Aliso-Wood Canyon Wilderness Park, it’s a hikers paradise. Hike to Top of the World in Laguna Beach or just enjoy nature ohhh so close. A gorgeous guard gated neighborhood & this perfect location is poised on a cul de sac w/a large lot,huge driveway, 3 car (tandem)garage & central vacuum. Greeted by a river rock exterior w/a large stately columned porch entry; you open the tall front door to a living room w/soaring cathedral ceilings,loads of light & upgraded wood shutters on windows. A chefs kitchen inc’s a ton of light maple cabinetry, granite counters,GE Monog Double Oven, Bosch DW, sleek cooktop & island w/storage. Turn to see a sweepingly large family room with lots of windows, a river rock fireplace, spacious hearth & a clean log insert to keep you warm on a cool winters night. Also downstairs are two glass doors entering to an office/bdrm & a full laundry room with sink. The gorgeous focal point of this home is the grand open banister staircase w/skylight allowing you to look down onto the living/dining room areas. The master suite is incredible with a retreat,double closets inc’g walk in & grand bath featuring neutral tile/stone w/separate tub & shower. As if this were not already amazing,step into your breathtaking entertainers backyard paradise & see what a real BBQ bar should look like! The hardscape is gorgeous,the grass is low maintenance & the waterfall is peaceful. Come enjoy your own personal tranquility! 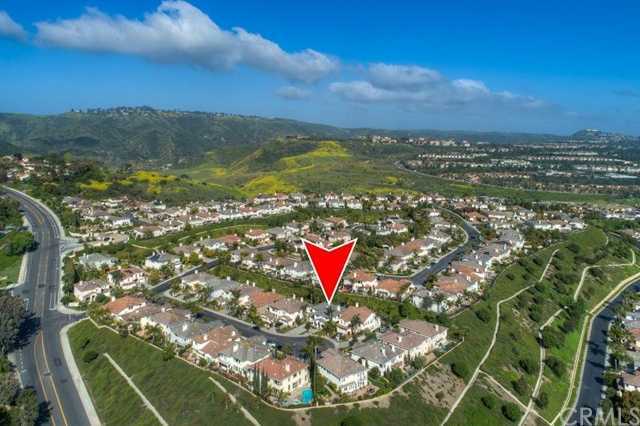 Please, send me more information on this property: MLS# OC19083865 – $1,299,888 – 23651 Marin Way, Laguna Niguel, CA 92677. I would like to schedule a showing appointment for this property: MLS# OC19083865 – $1,299,888 – 23651 Marin Way, Laguna Niguel, CA 92677.